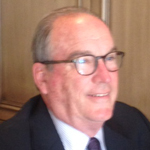 Ned has over 37 years of experience in the hospitality industry, including 29 years with Marriott International. Beginning his career in 1972 as a Sales Manager Trainee, Ned has worked his way up through multiple hotels & resorts across the United States. At the culmination of his career with Marriott International, Ned was the Area General Manager in Irvine, California. In 2002, Ned began working with Montage Hotels in Laguna Beach, California as the General Manager and Director of Special Projects. Ned has served on the Board of Advisors for the Collins College of Hospitality at California State – Pomona since 1994, as well as, the Board of Advisors for Tourism Communications at California State Fullerton College of Business Communication. He is also the Executive Mentor for the University of California, Irvine – Paul Merage Graduate School of Business. While working with Marriott International, Ned received a number of admirable awards, including: General Manager of the Year “Exceptional Achievement in Marketing” and Regional General Manager of the Year. He has also received National Marriott Awards, including: F&B Marketing Achievement Award and Sales Rookie of the Year. Community accolades include: “Businessman of the Year” by Anaheim Chamber, “Passkey Foundation Ethics in American Achievement Award” by Chapman University, “Leadership Award” by HSMA Southern Chapter, “Citizen of the Year” by Cypress College Americana, and the “Paul Harris Award” by the Anaheim Rotary Club, The Rotary Club of Rotary International.